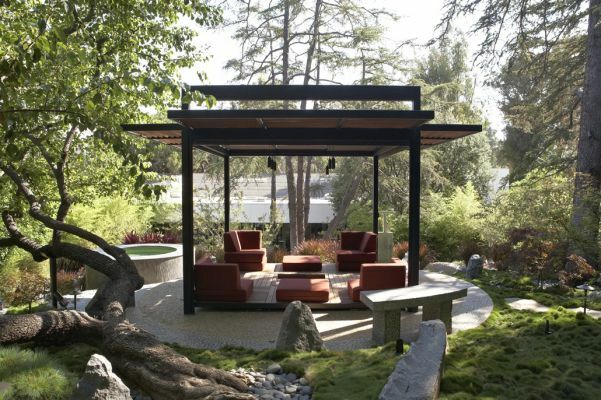 One of the most significant homes designed by the late A. Quincy Jone’s, this modern home has a distinctly minimal Asian sensibility. 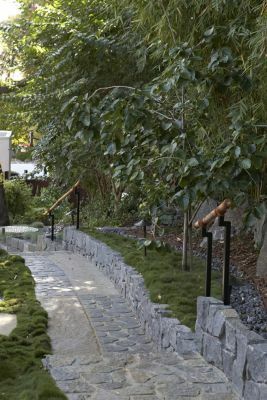 The unique garden that resulted grew out of a desire to extend this minimal modern Asian feel into the landscape. 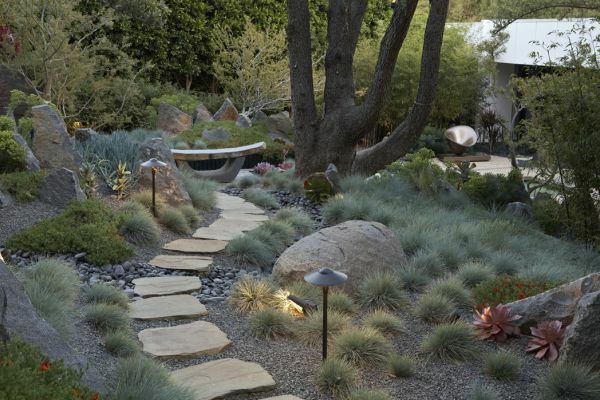 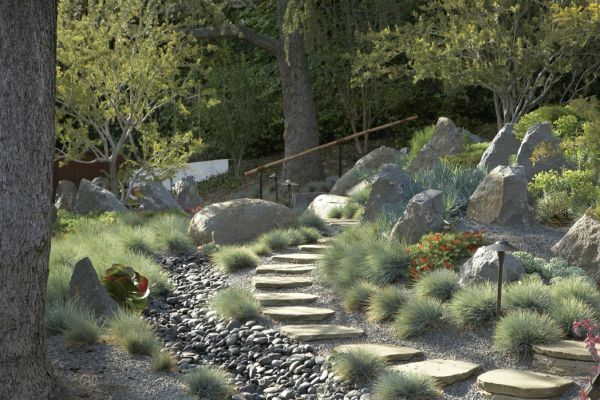 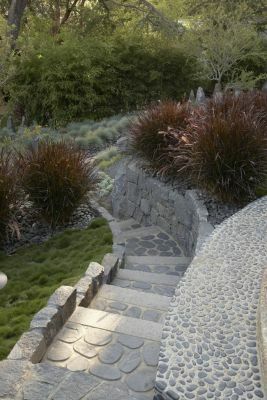 The garden is created on a gentle hillside that rises away from the rear of the house. 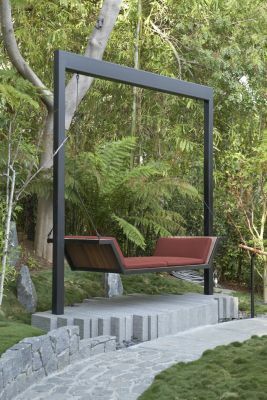 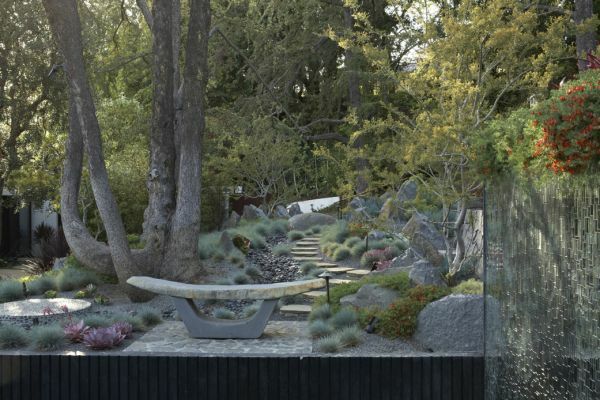 This created an opportunity to create a symbolic journey through the garden to sanctuary above and away from the house. 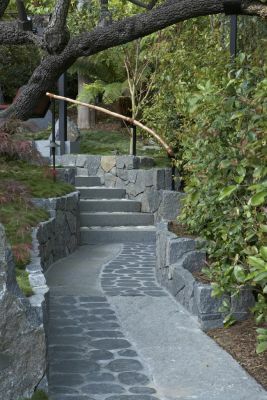 The stone path that weaves it way up the hill to the pavilion above is designed as a symbolic metaphor for the life journey of each individual. 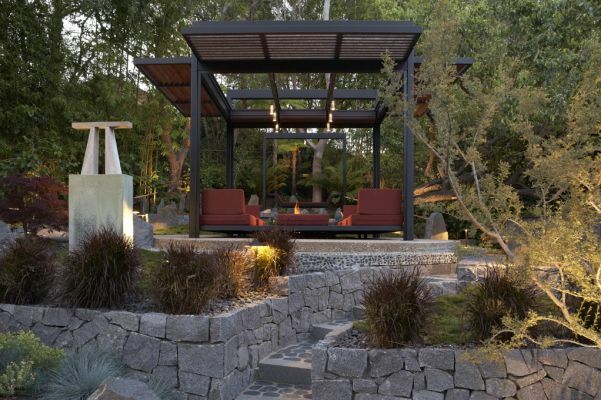 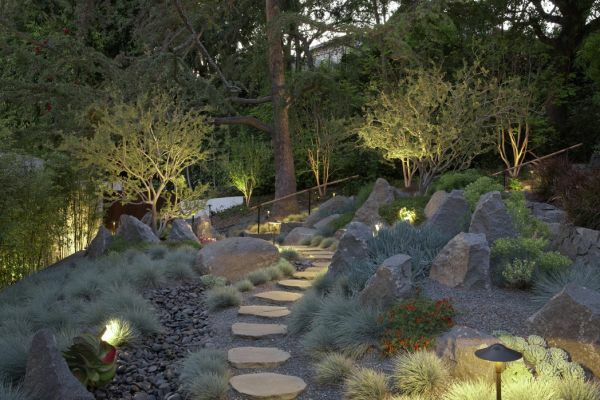 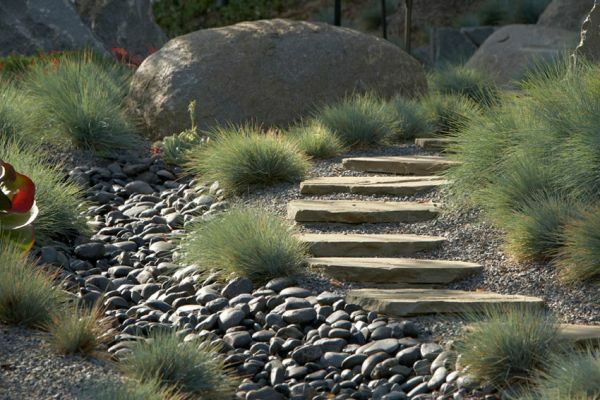 For more information on the design of this garden click the video button.